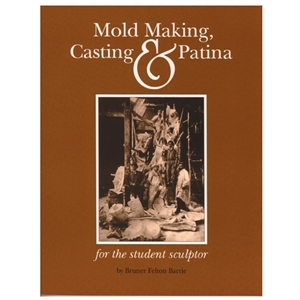 An excellent beginner's book for those who wish to make basic molds, and casts in plaster and rubber, with no prior experience. In its fourth printing, the publication has 116 pages and over 200 photos and line drawings representing specific methods and procedures for any mold making and casting project. Not recommended for those seeking instruction in advanced gating, venting and bronze casting procedures.